Delhi finished at the bottom of the points table last season. 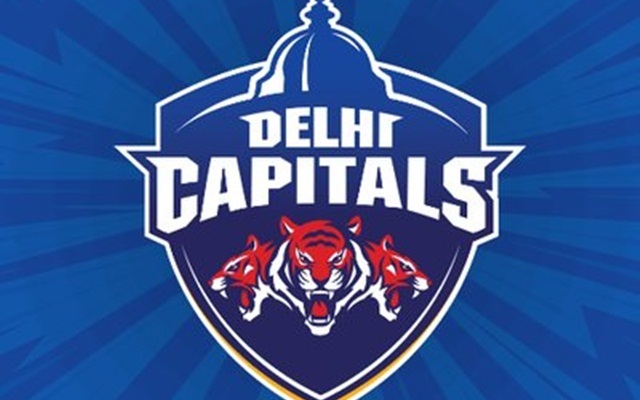 Delhi Capitals (DCS), then Daredevils, had a forgettable outing last time around as they finished the Indian Premier League (IPL) as the cellar dwellers. They didn’t look like posing any threat to the opponents by any means and were found wanting. The franchise could only win five matches. Quite expectantly, they had to go back to the drawing boards in order to eradicate the chinks in their armour. Ahead of the next season’s auction, they freed the likes of Gautam Gambhir, Jason Roy, Mohammed Shami, Glenn Maxwell and a few others of their services. They went into the auction with a purse of INR 25.50 crores and brought 10 players and now have a squad of 25 (17 Indians and 8 overseas). In our article, we take a look at the best possible eleven the Capitals can field in the T20 extravaganza. Shikhar Dhawan and Prithvi Shaw are the opening batsmen. Dhawan, after plying his trade for Sunrisers Hyderabad (SRH) was traded to the Capitals and the onus would be on him at the top of the order. 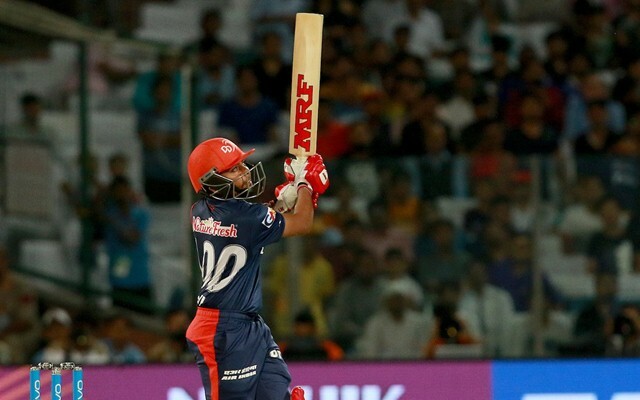 The 33-year-old has a truckload of experience of in the IPL, having played 143 matches in which he has racked up 4057 runs at a decent average of 32.98 with as many as 32 half-centuries in his kitty. 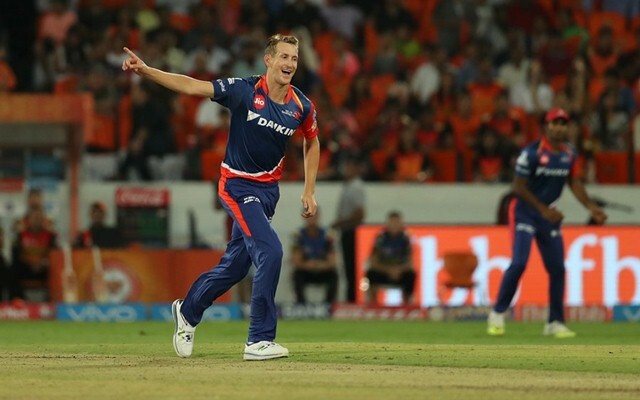 Shaw, on the other hand, had a fairytale run in his debut IPL campaign. The 19-year-old batter churned out 245 runs in nine matches at an average of 27.22. The Young Turk also scored a couple of half-centuries against Kolkata Knight Riders (KKR) and Sunrisers Hyderabad (SRH). The Capitals would now be looking up to the left-right opening combo to give steady starts consistently to the franchise. Iyer was appointed as the captain of the Capitals midway through the last IPL after Gautam Gambhir floundered miserably. Albeit he couldn’t help Delhi arrest their slump, he did a reasonable task. Moreover, he was also at his best with the bat having scored 411 runs at an average of 37.36. Most importantly, the 24-year-old notched four fifties that showed his credentials as a reliable batsman. 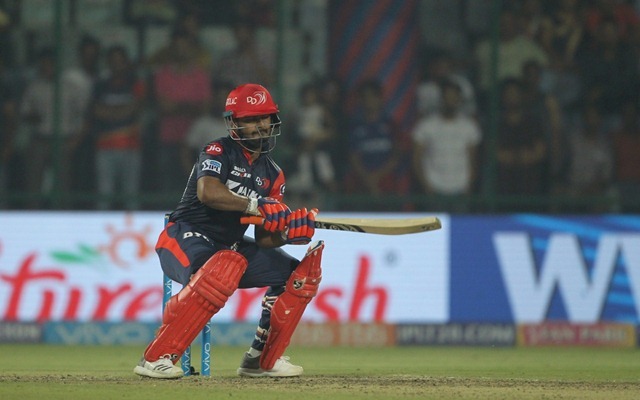 Rishabh Pant was arguably their standout batsmen as he finished the tournament as the second highest run-getter with 684 runs at an average of 52.61 and a strike of 173.60. His top score of 128 not out came against SRH at Feroz Shah Kotla. Apart from Iyer and Pant, the middle-order also has Hanuma Vihari, who was bought at INR 2 crores. Vihari has the technique to lend solidity to any batting lineup. South African all-rounder Chris Morris didn’t have a memorable season last time around. He could play only four matches in which he scored 46 runs and picked up three wickets at an economy rate of over 10. Thereafter, he developed a back injury after which he was ruled out of the entire tournament. The 28-year-old all-rounder from Gujarat, Harshal Patel didn’t play a whole lot of matches in last edition’s IPL, however, put his best foot forward in the five encounters he played. The Haryana cricketer picked up seven wickets and also played a match-winning knock of 36 not out against CSK in Delhi. The bowling lineup is expected to have Kagiso Rabada and Trent Boult in the fast bowling department. Rabada didn’t have the privilege of playing the tournament last time as a back injury ruled him out of the IPL. The Capitals’ other overseas speedster Trent Boult from New Zealand had a superlative season. The left-armer was lethal with both the new and old ball and finished with 18 wickets from 14 matches. Boult and Rabada have the ability to rip any batting lineup apart when in form. 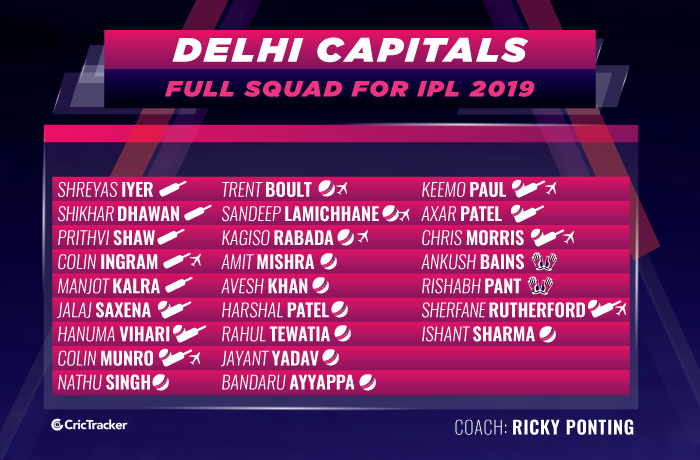 Amit Mishra and Sandeep Lamichhane are the spinners. Mishra is a veteran and he nipped out 12 wickets from 10 matches last season at an economy rate of 7.13. 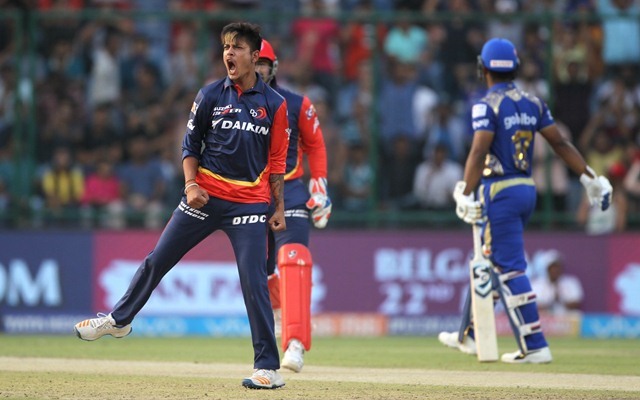 Lamichhane, the first to play IPL from Nepal, got to play after Delhi were eliminated, but picked up five wickets at a commendable economy rate of 7.13.